Despite the fact that African-American hair produces adequate scalp oils, it still tends to be dry. According to Stanford School of Medicine, the tight curl and thick texture of African-American hair hinder the scalp oils from reaching the hair ends. As a result, African-American hair is often dry and frizzy. If you are an African-American with frizzy hair, don't despair. Proper washing, conditioning and styling can help keep the hair smooth and hydrated. 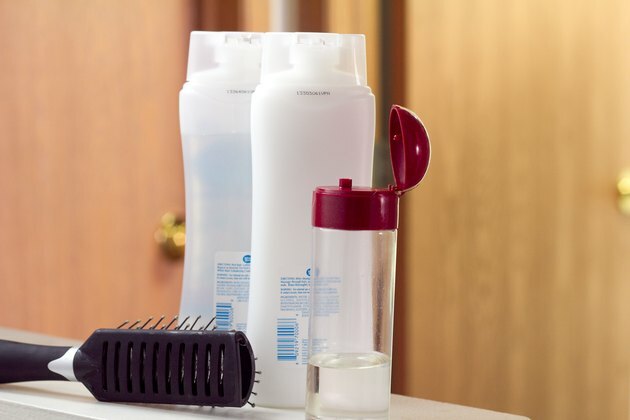 Shampoo your hair once a week to control frizz. Shampooing more often can cause dryness. Apply a quarter-size amount of hydrating shampoo that contains humectants to wet hair, and massage it in. Rinse with warm water. Humectants help retain moisture in the hair. Condition your hair with a conditioner that contains humectants. 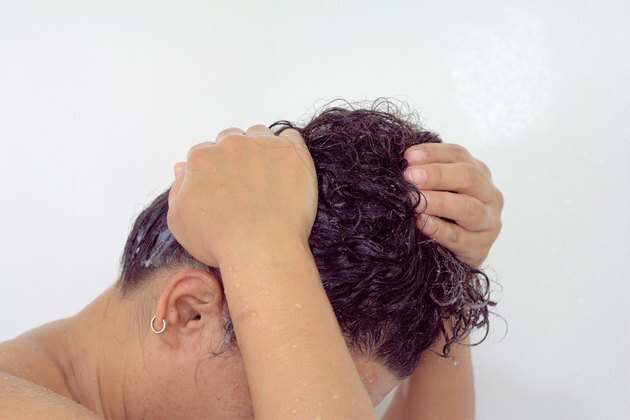 Apply a quarter-size amount of conditioner to your wet hair. Allow the conditioner to sit on your hair for three to five minutes. 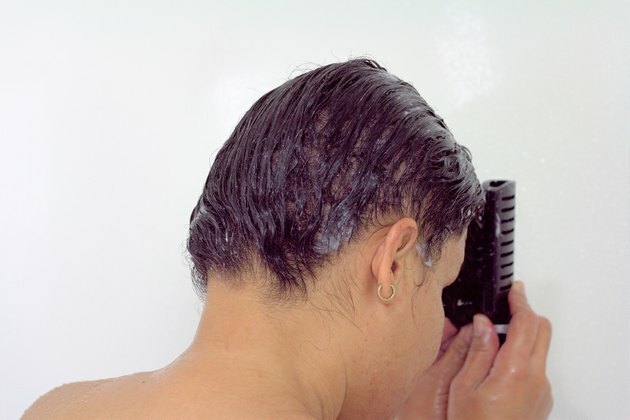 Rinse with cool water to smooth the hair cuticle (outer layer of the hair strand). Towel-dry your hair. Blot your hair with the towel -- do not rub. 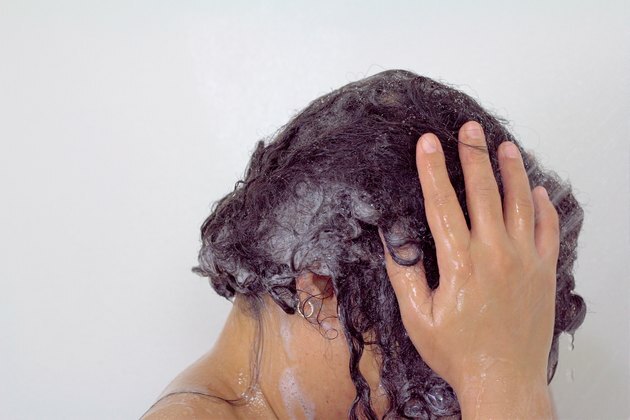 Squeeze your hair with the towel, removing as much of the excess water as you can. Apply a leave-in conditioner to your hair. A dime-size amount is usually all that is necessary. Comb the leave-in conditioner through your hair with a wide-tooth comb. Allow your hair to air dry. If you must blow-dry your hair, set the blow dryer on the lowest heat setting. Apply an anti-frizz serum or hair oil to your hair after styling. Apply a dime-size amount of hair oil to the palm of your hand. Rub your hands together, and pat your hair with your oiled palms. Add further moisture to your hair with a deep conditioner. Apply a quarter-size amount of deep conditioner to clean, wet hair once every two weeks. Leave the deep conditioner in your hair for 15 to 30 minutes, rinsing afterward with a cool water rinse. Avoid using hair oils that contain mineral oil or petroleum jelly. Natural oil such as that of pomegranate will help keep your hair frizz-free without a greasy look.